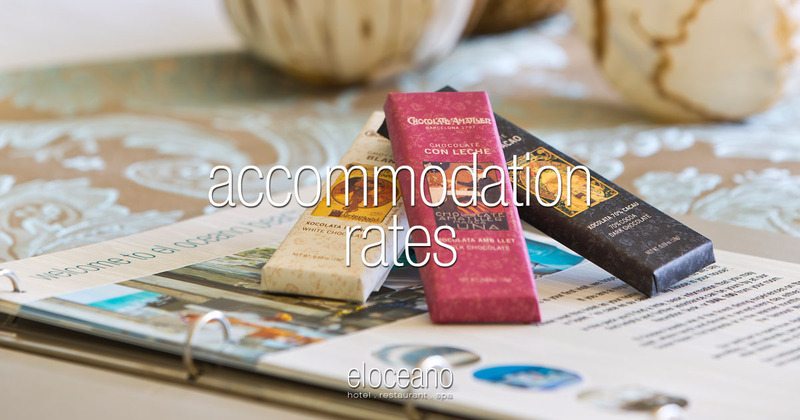 Accommodation Rates - El Oceano Luxury Beach Hotel, Mijas Costa. Luxury accommodation at El Oceano Beachfront Hotel. We have a number of accommodation options, from our beautiful Double Non-Sea View Rooms, right up to the utterly spectacular Penthouse Suites. All tastefully decorated and designed with elegant colours schemes and just the right touches to make you stay feel special! A touch of beachfront luxury. It doesn’t get much better than this! Luxury hotel accommodation at price that may surprise. We offer 6 accommodation types, including the amazing new Penthouse Suites. If you’d like to be one of the first to see the new Penthouses, get in touch to make a pre-enquiry! Use of indoor pool & spa included. All our rooms have king size beds, air conditioning, central heating, satellite TV, mini bar & private safe. Non sea view, twin rooms available. 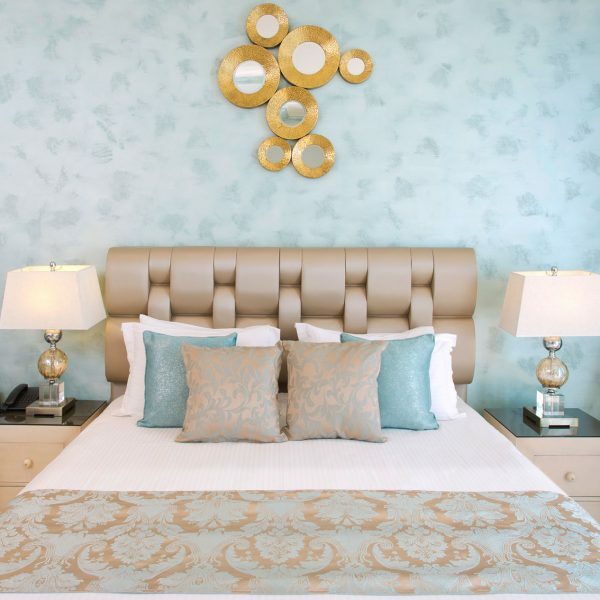 Our 'standard' rooms, the Double Non-Sea View Rooms are a touch of luxury, with king-sized double beds, en-suite bathrooms and impeccably decorated. None of the Double Non-Sea View Rooms have sea views. 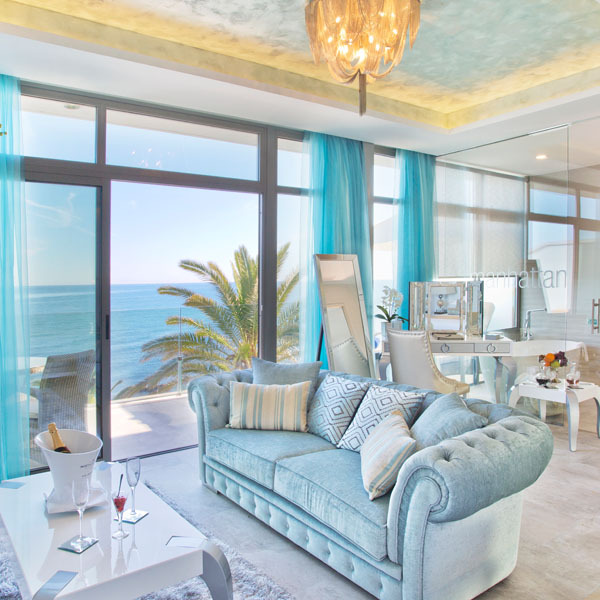 Our Mini-Suites have private terrace or balcony, but do not guarantee a sea-view. Ground floor Mini-Suites open right on to the terrace of the hotel. You'll struggle to find a better place to wake up! 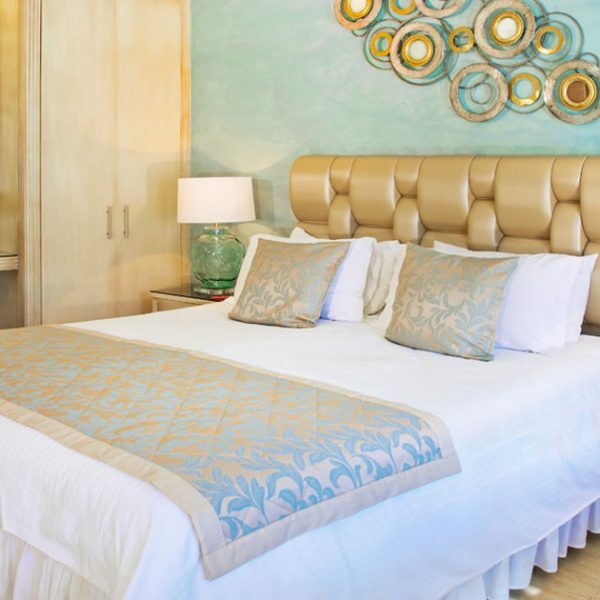 The El Oceano Mini Suites all have en-suite bathrooms, are air-conditioned and have king-size beds, large TVs. Some have a sofa-bed. 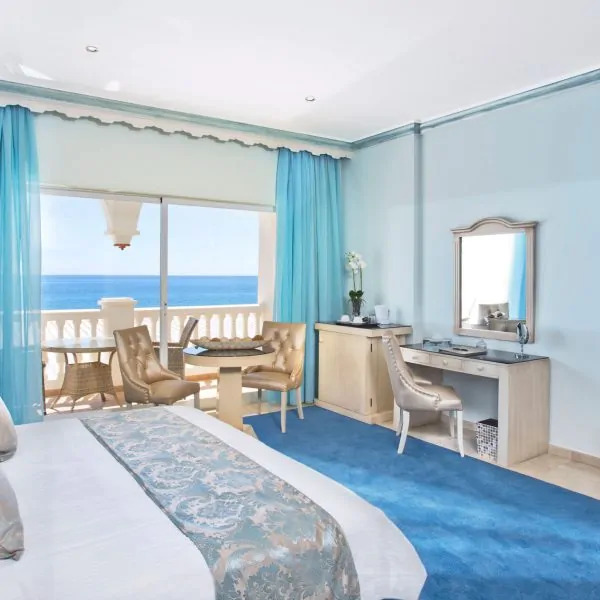 The Deluxe Ocean-Front Mini Suites have private terrace or balcony, with the Deluxe upper floors having guaranteed – and spectacular – Mediterranean views. Ocean-front with terrace or balcony, indoor or outdoor Feature Bath. Beautiful rooms with the added luxury of your own, private bath. Romantic? We think so, too! As you might guess, the Feature Bath Suites are popular so try to book well in advance. Adjacent to hotel, south-facing with terrace or balcony, kitchenette. 15 wonderful studio apartments, adjacent to the main hotel building. A touch of luxury for those that prefer a little more quiet and independence. Self catering hotel accommodation is its finest! Panoramic, uninterrupted and stunning sea views with glass balconies and open-plan, glass bathrooms and designer interiors. The 'flagship' accommodation at El Oceano, the Penthouse suites are just wonderful! Speak to our Reception team to reserve your Penthouse Suite! Extra bed facilities available in a limited number of rooms. Extra bed charge, 55€ per night. No activities available for children. Local tax included. Prices quoted are for the 2017 season and are per room, per night, for two adults only. 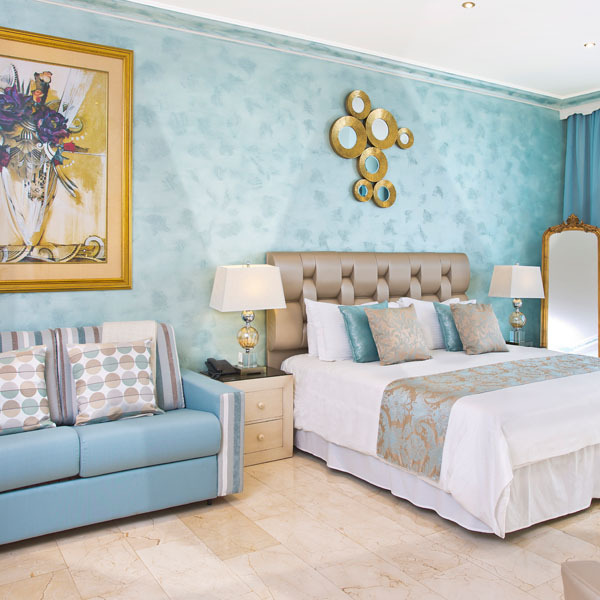 All our rooms and suites are decorated and equipped to impeccable standards. 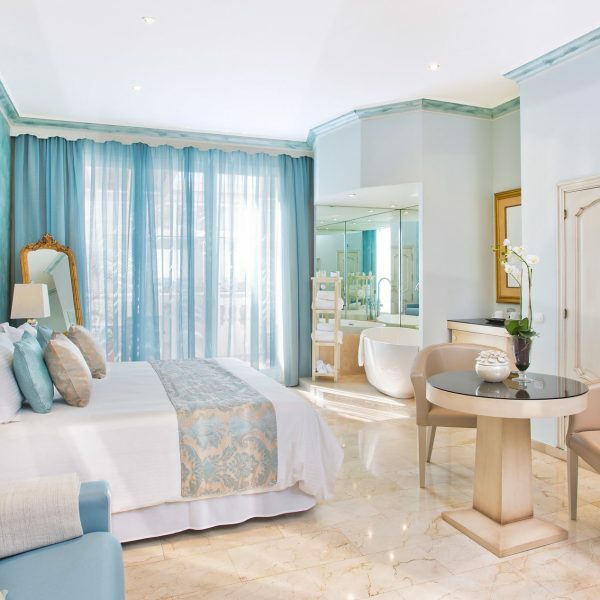 Each room is different and each room/suite style has its very own elegant charm. Studio apartments also have a kitchenette with microwave over, hob and sink, etc. We think our rooms should contain everything one might expect from a four-star hotel room, but if you have any special requirements for your room or suite, please ask. Obviously, we can’t guarantee to be able to help, but we will guarantee that we’ll make a real effort to help. Read more about El Oceano Hotel’s facilities here. Málaga, Costa del Sol, Spain. Original photography, David Toms & Gary Edwards. © All original content copyright El Oceano Hotel.